Measures 23 3/8" x 19 3/8"
In which direction should I install this shelf? The vertical wire on the shelf should be positioned toward the back of the unit in order to allow space for proper air flow inside the cabinet. 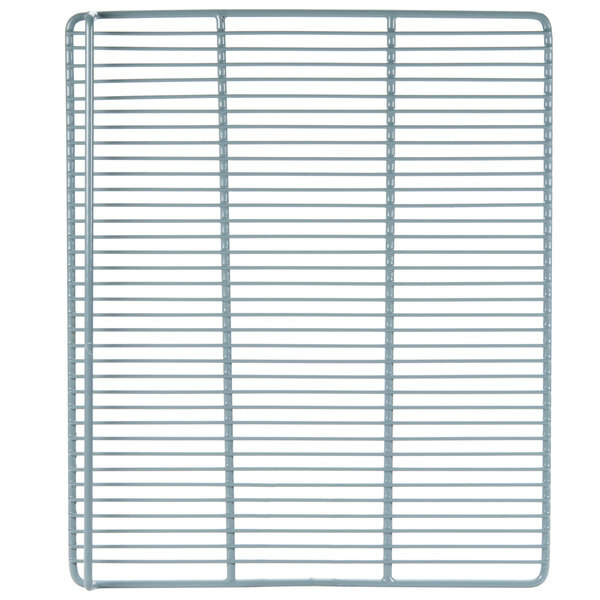 If the wire is installed to the front, items may block the flow of cold air along the back wall, causing products to reach unsafe temperatures or the refrigeration system to work harder to maintain a safe temperature. 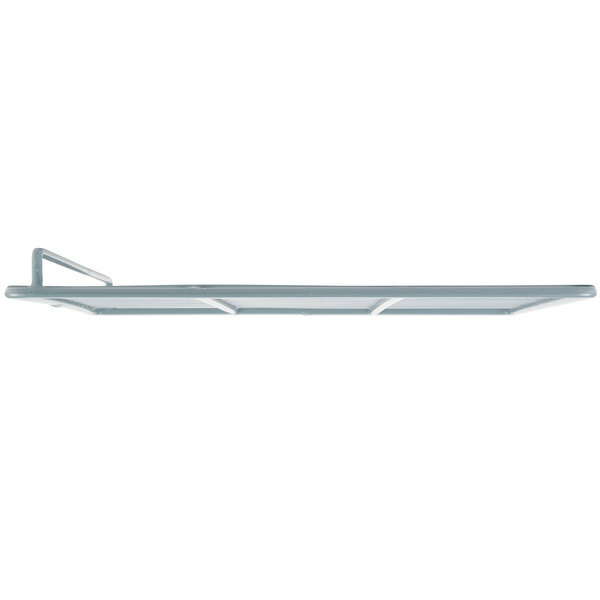 This Avantco 178SHELFA19 23 3/8" x 19 3/8" shelf works with your A-19 refrigerator or freezer to keep your fresh or frozen foods organized! 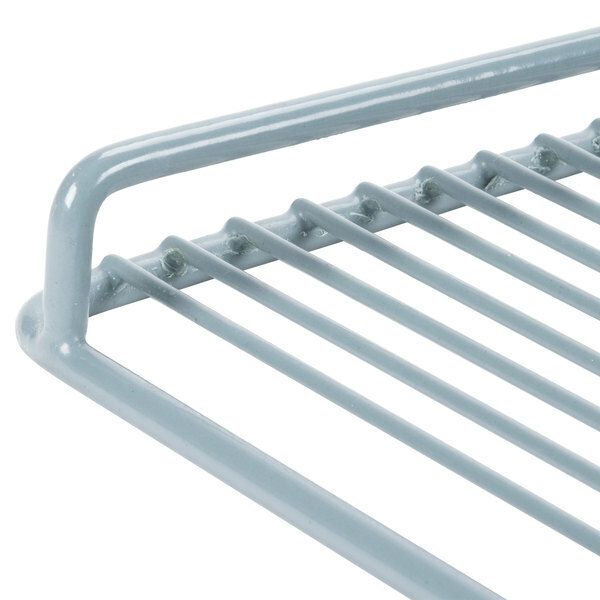 Use it to replace a broken or missing shelf, or add it to your refrigeration unit to increase storage capacity. This shelf is made of plastic-coated steel. Shelf clips are sold separately. 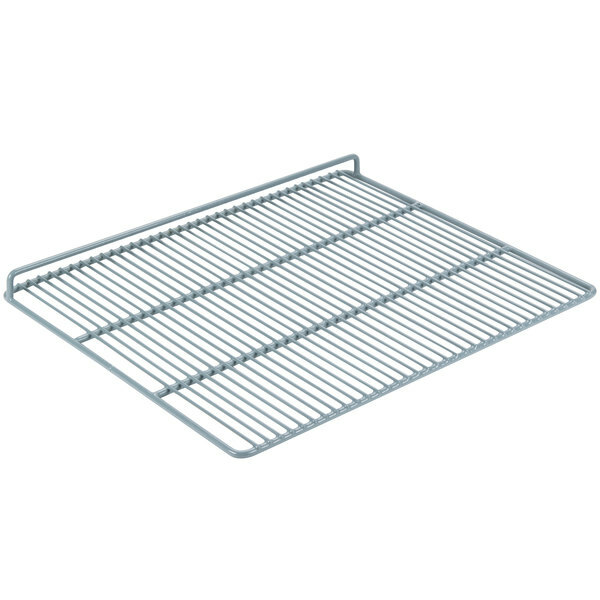 Overall User Rating: Avantco 178SHELFA19 Coated Wire Shelf - 23 3/8" x 19 3/8"
These coated shelves are awesome! They fit well I did eodnour avantco fridges and are very easy to install or add more to your fridge. 5 stars for quality on this one. 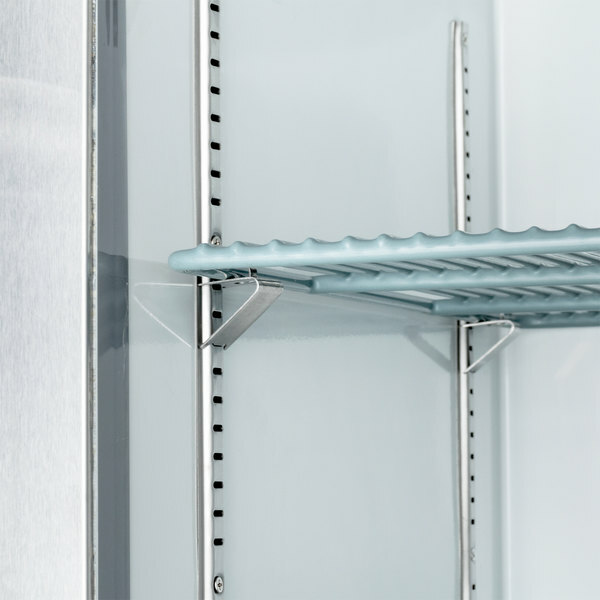 These shelves match the quality and design of the OEM fridge shelves from our Avantco A19R just fine, However I think the price in which they are being sold at is too high... This is a fridge shelf, not rocket science. Should be sold in line with other manufacturers in the price range. So 4 stars overall for the higher price.